When you hear of a product having a waiting list that exceeds 25000 you know that you need to join that list and find out what all the fuss is about - Deciem foundations sure did cause a bit of a frenzy with friends and bloggers all clambering to get their hands on this hot potato and when mine arrived, I was excited to see what all the fuss was about. With Deciem foundations you have two choices - Full Coverage or Serum. Serum Foundations are lightweight medium-coverage formulations available in a comprehensive shade range across 21 shades and Coverage Foundations are full-coverage formulations available in a comprehensive shade range across 21 shades and are much deeper pigmented than the Serums. With me so far? I decided that I wanted to start my foundation journey with Deciem with the Serum foundations, I preferred the sound of it from the description and helpfully, Deciem have swatches of each and every shade on their website along with a helpful explanation of each and it is so helpful. Deciem Foundations are divided into three categories: 1 for fair to lighter tones, 2 for medium tones; and 3 for darker tones which sounds quite simplistic until you realise that from there each category is then further classified by a second digit from 0 to 3 and this indicates the depth within each category. Finally, you will them notice that a letter has been added to the shade code to identify the undertone - P (Pink) and R (Red) indicate cool undertones for lighter and darker shades respectively and N indicates a Neutral tone and then Y indicates a Yellow undertone. From here each shade code has a descriptive name as well which if you sit for a few minutes and figure out where you stand within the tone category, it becomes easy to follow. The example being the Serum Foundation I was matched too being 1.0p which is very fair with pink undertones and 1.1p which is fair with pink undertones and the reason I have two is that I prefer to mix them together and use them. 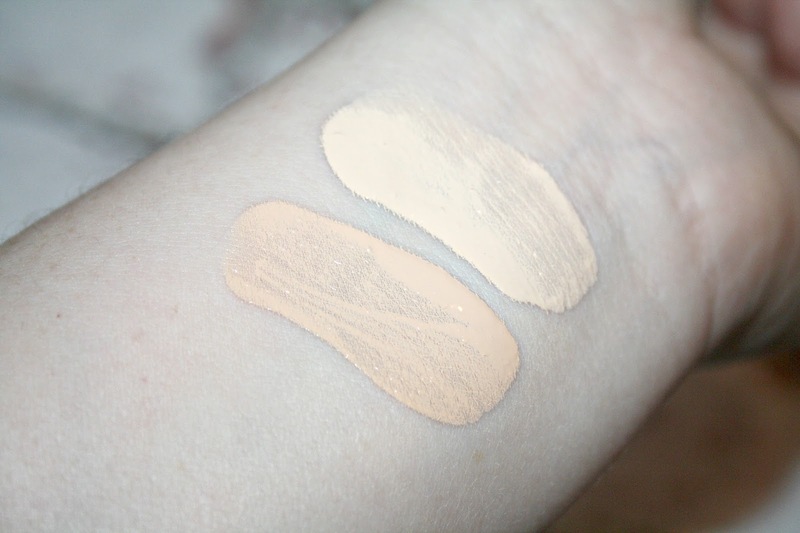 The swatch below is without any filter or tinkering with the photo and it shows there is just a slight difference in shade. Serum Foundations offer what is called moderate coverage, to you and I that means they look natural when applied but the finish is also semi-matte so for anyone who has an issue with shine, this foundation can be your best friend because it also doesn't cling to dry patches, sink into lines and it has an SPF15. They come in a pump action bottle which makes for using it a breeze, there is also an option to buy a dropper if that is your preference. As this is a serum foundation it does have a slightly runnier texture, but it makes no difference to the application, which I complete with my Beauty Blender. Once applied, for me, this foundation lasts all day. I put it on around 7.30am and it is till there at 5pm but I do use it in conjunction with The Ordinary High-Spreadability Fluid Primer but that said, this is a great foundation if you are not really a fan of heavy duty wallpaper paste foundations and at just £5.70 it isn't going to break the bank whether you love it or hate it! 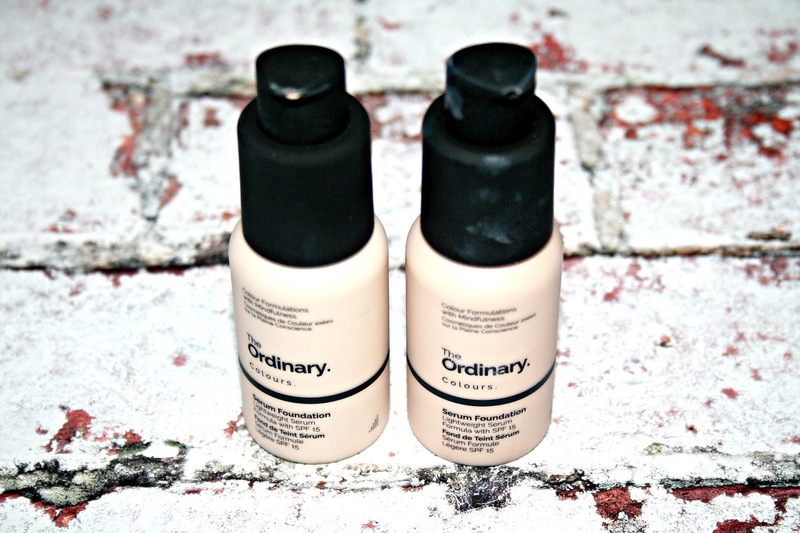 Have you tried either of the Deciem foundations? I bought the Coverage version a few months ago but the shade was too light, which I was kind of impressed with because this never happens. I think I'm going to need this! I love full coverage! I've been trying them both and really liking them so far! It’s incredible value and so so so good!!!! the price is just incredible! I am so so impressed with it. I really want to try it too - and the shade range is incredible too! I really want to try this but haven’t managed to spot my shade in stock yet! This is my current fave foundation, I love that it looks super natural on the skin!